VERSATILE – Makes 2 different types of pasta: Linguine (4mm) and/or Lasagne (45mm). 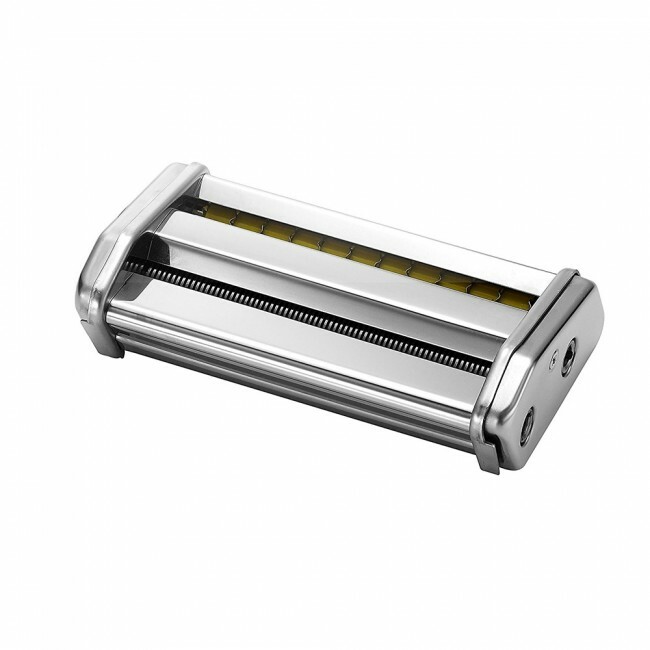 The Ovente Double Pasta Cutter Attachment for Linguine (4mm) and Lasagne (45mm) is well-made with chrome plated, sturdy all-metal construction. 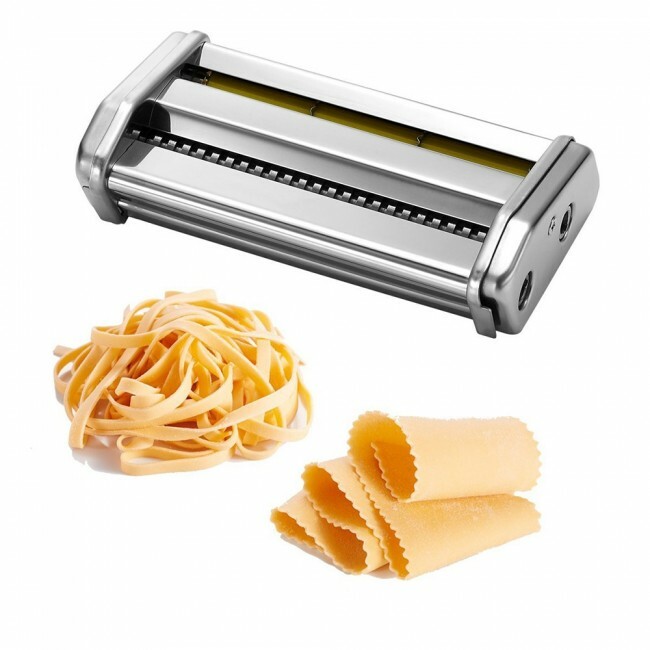 It helps make creating fresh, homemade, and authentic Italian pasta a lot more user-friendly because it is easy to attach, detach, and cuts your pasta for you. 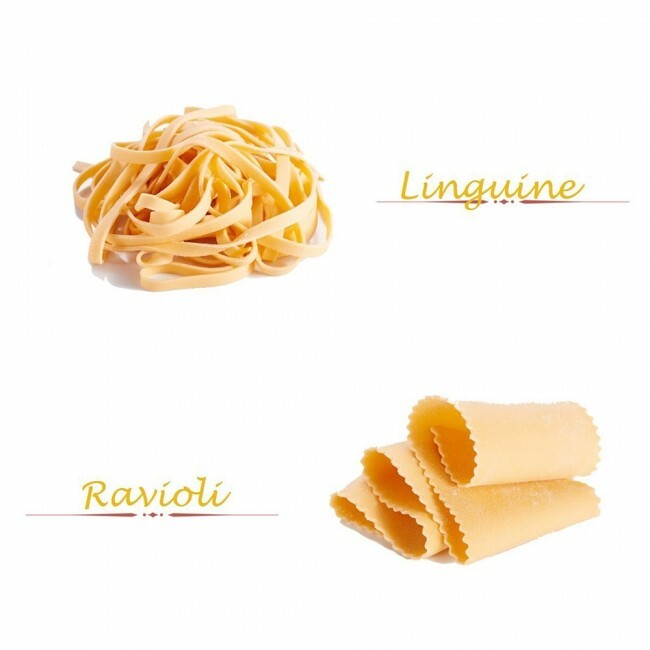 Linguine is a flat, long, ribbon type of pasta that is best for rich or creamy sauces, as its flat shape allows it to stand up against the heft of a rich sauce. On the other hand, lasagna made with freshly-made Lasagne pasta is truly on another level than store-bought no-boil lasagna noodles, which tends to have a gummy quality to it. The thinness of fresh, homemade lasagne pasta marries the tomato sauce and cheese to create a dish that is light, yet completely out-of-this-world. You’ll be in for quite a treat!